I’ve told you guys before about my small obsession with apothecary type products, so when the Whal Myung Skin Elixir crossed my radar, I could hardly stop myself from drooling. The coolest thing is that not only does the Skin Elixir come in a gorgeous apothecary bottle, it has a history that actually hails from 1897, the period when apothecary bottles would have actually been in use! Dongwha, the company behind Whal Myung, is the oldest pharmacy in Korea, and their original Whal Myung liquid was an herbal medicine that was formulated for the Royal Family. It was meant to be taken internally, for digestive issues. Recently, the pharmacy released the medicine in skincare form as the Whal Myung Skin Elixir, a hydrating all-in-one tonic for your face. When Whal Myung sent me their PR package, I had had a rough day, and I distinctly remember that the package brightened me up considerably. Not only was the Skin Elixir included, but the package also included a paper fan, a beautiful fan-patterned cloth pouch, and a tote bag (that I use weekly for my kids’ swimming gear!). Oh, and the bottle itself was packaged inside a tube made from wood veneer. The whole package was so beautiful, I nearly cried (as I said, it was a rough day). But the gorgeousness of the package really said to me that this company takes great care with detail, something that is a hallmark of all my favorite brands, and something that I love to support. 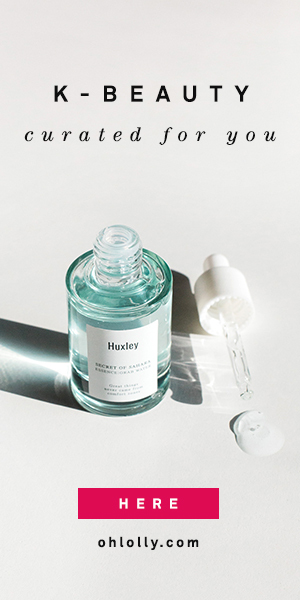 Green beauty fans will love this liquid. Just LOOK at the ingredients! Mostly just incredibly lovely herbal extracts and quality oils. You’ll notice that argan oil is the second ingredient, which really helps to make this liquid (I hesitate to call it a toner because it seems like so much more) very moisturizing considering how watery it is. And I can totally see how this was a digestive tonic in its first incarnation — clove, nutmeg, ginger, citrus peel, cinnamon, loquat — you could almost drink the Whal Myung tonic and you’d probably be the better for it (though I really don’t recommend it). I also love the addition of squalane (everyone’s current favorite facial oil) and ceramide for supporting your moisture barrier. The Whal Myung Skin Elixir is a watery liquid. Slightly thicker than water but thinner than a hydrating toner. You can see that it has a milkiness to it from all the gorgeous extracts and oils in there. You have to shake it up before using as the oils separate from the water phase, and it came with a spray nozzle that is just so handy. It delivers a concentrated, but fine mist. I personally prefer to spray it into my hand and then pat it over my face when using it as a toner, but I’ll spray it throughout the day when I need a boost of hydration. It took me a while to figure out how to adjust my routine around the Whal Myung Skin Elixir. It’s so moisturizing that I had to cut down some of my routine steps to accommodate it, otherwise I felt like I had too much moisture. And because the Skin Elixir has oils in it, if I put watery products on top of it, they didn’t absorb quite as well as I expected. So how I ended up using the Whal Myung liquid was as an all-in-one product (which arguably is what it’s meant to be) to replace my toner and essence steps, or as part of a shorter routine. It worked better for me over some of my thinner serums and essences, instead of underneath. I found that the Whal Myung Skin Elixir performed admirably well as both a hydrating (watery moisture) product AND an emollient (softening, moisturizing) product due to both the water and oil components. Your skin needs both water and oil to be properly nourished, and this product provided both at one go. Once it fully absorbs, it feels light on the skin, but a tiny bit tacky/sticky, so putting a cream on top of this worked well for me. This is a lovely all-in-one toner/essence that would work well for all skin types. It’s perfect for those who are in a rush in the mornings and want one product that can replace their toner and serum steps. The ingredients are as beautiful as the packaging. This product was gifted to me for review. All reviews on this site are my own, honest, opinion. This page contains affiliate links. I may receive a small commission from your purchases through this post, but you won’t pay a penny more. This sounds absolutely amazing! I do wonder how much this bottle would be in C$? And you’re right, green beauties will definitely love the ingredient list, hell I am not 100% into green products and even I love it! Thanks so much Shireen! I really love how this is silicone free and just really super clean. I do hope you get a chance to try it!!! Such beautiful packaging, and I love the history behind it! Who doesn’t want to use products that were once exclusively for royalty? 😀 I also really like the simple ingredient list with very few fillers, and yes to ceramide! Always excited to see that ingredient in products! Haha I definitely feel very fancy when I use it =)! I have to say this is a very hydrating serum/toner and I agree that this leaves my face slightly tacky for awhile so I would definitely use as my last step before creams/balms if needed. The scent is so familiar to me but I can’t quite figure it out. The scent reminds me of something from my childhood and it’s just so light and soothing. I’m so glad I found this product through Birchbox .